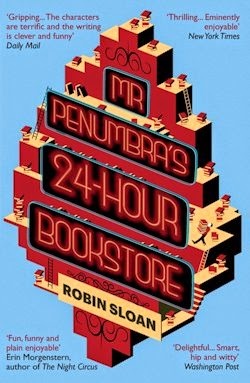 Mr Penumbra's 24 Hour Bookstore was, without question, one of last year's most endearing debuts. A short novel about a tech-savvy shop assistant drawn inexorably into what is a magnificent mystery, at least initially, Robin Sloan's fontastic fantasy began brilliantly, before revealing itself to be a book about the absolute good of Google—and as I concluded in my review, "that's not what I come to my speculative fiction for, frankly." Happily, this brief prequel isn't half as distracted as the originating fiction, in large part because it's set in the sixties: in 1969, specifically, during the last days of the Summer of Love. Penumbra's investigations soon lead him to San Francisco, where he hopes to locate the last known owner of The Craft of Fortune. Sadly, he finds no trace of William Gray. As a last resort, he asks around in an array of likely locations, including the 24-Hour Bookstore a Mr Mohammed Al-Asmari mans. Here, he shares his story, only to be told by the owner that this William Gray isn't an individual at all—it's a ship, long since sunk in an area of the Bay that has lately been reclaimed. He walks the city, dispirited. 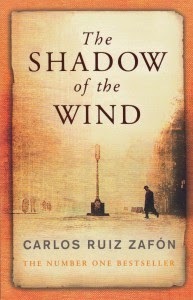 It is something, he tells himself, to have determined the fate of the William Gray and the book he sought there. But it is still a failure. His first assignment as a Junior Acquisitions Officer, and it came to nothing. There are glimmers of hope, however: tunnels have been dug under the city to make way for the BART, which is to say San Francisco's revolutionary rapid transit system. If one of these is near the rotten wreck of the ship, and if Penumbra can access it somehow, then perhaps... perhaps there's a chance. Assuming the book isn't already ruined. That's a lot of ifs, admittedly, but our man means to make sure. 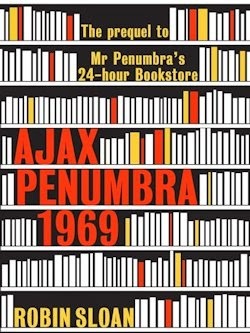 Readers, I'm relieved to report that Ajax Penumbra 1969 is a delight. It might well be more satisfying than the book it introduces, and the fact that it's substantially shorter is one of the secrets of its success. At a hundred pages at a push in Atlantic's handsome new hardcover, and only then including several appendixes—namely an interview with the author and the first chapter of Mr Penumbra's 24 Hour Bookstore—Ajax Penumbra 1969 is never in danger of overstaying its welcome, nor are there any of the pointless packing peanuts of plot that proved such a problem in the author's other novel. 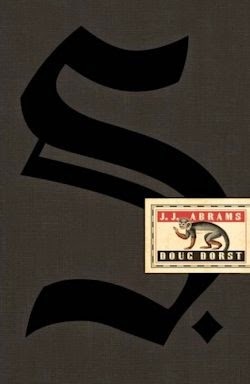 It's a far tighter text than Mr Penumbra's 24 Hour Bookstore, all told, and it follows that this focus leaves little room for the extended digressions that distracted in Sloan's debut. Crucially, Google hasn't happened yet, and though one subplot involves an early attempt at networking—"using a computer is just not a thing that a person does" (p.12) in 1969, but never mind—even this section serves a pair of purposes, adding as it does to our understanding of Sloan's central character, as well as laying the groundwork for his future fascinations. Ajax Penumbra 1969 boasts a narrative never less than neat, a spectacularly rendered setting and another array of charming characters—oh, Mo! I enjoyed your company so—all the while maintaining a markedly better balance between what's plot and what's not than evidenced in its predecessor. What we have here is a perfectly pleasant prequel to one of last year's most promising novels that reminded me of the reasons I was so sweet on said. I can only hope Sloan has more such stories in store.